PHOENIX – On June 30, 2013, members of the Granite Mountain Hotshots worked to protect the small town of Yarnell, Ariz. from an approaching wildfire. Only one of the crew’s 20 firefighters survived. 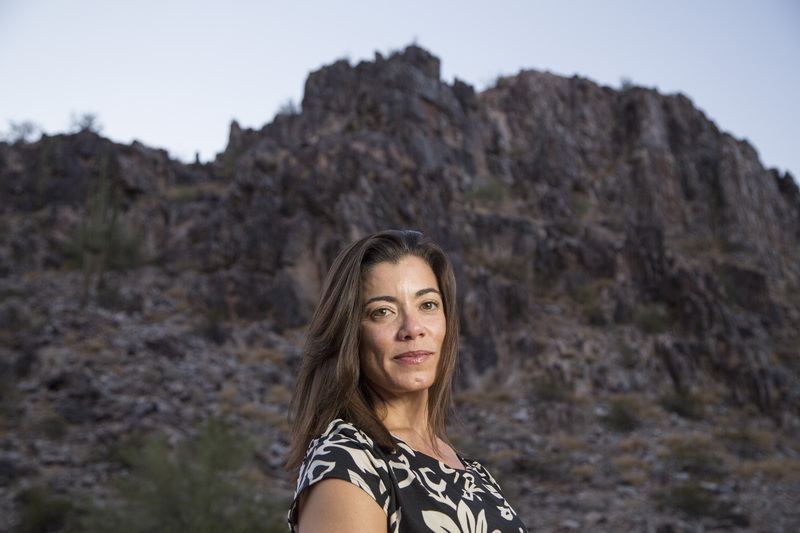 The tragedy of the Yarnell Hill Fire captivated grieving audiences and Fernanda Santos, Phoenix bureau chief for The New York Times. 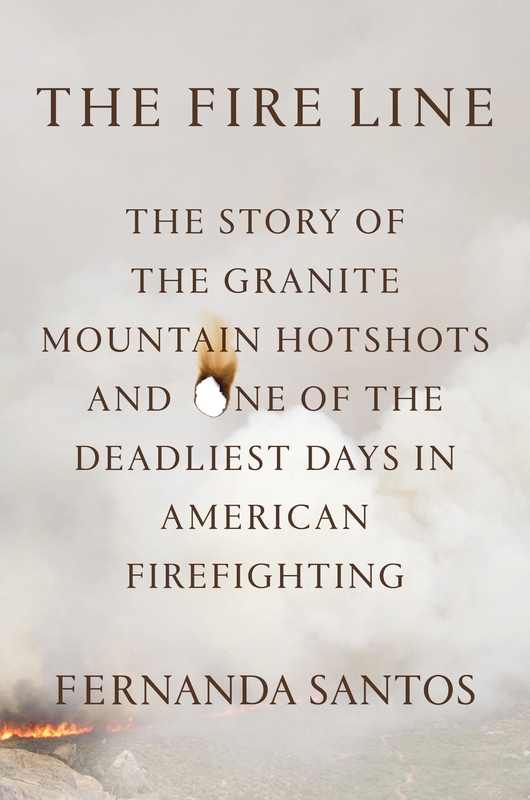 In her book, The Fire Line, Santos tells the story of how 19 men lived and died. What was it about this story that was so significant you decided to go beyond news reporting to do in-depth research for a year and write a book? I remember the date specifically: it was July 24, 2013. Some officials from Arizona State Forestry took a group of reporters to the site where the hotshots died. While they were presenting the different theories they had as to why they left the black, which was an area the fire had already burned at the top of a ridge and came down to a canyon to an area that was still covered with unburned vegetation, I became intrigued by this chain-link fence that they put around the area where they had deployed their shelters. The space was so small and I began asking myself what it was about these men that led them to stay together when they were faced with this wall of 40-, 50-foot high flames coming their way. Why is it that none of them ran? That was the question that I set out to answer when I decided to write this book. How did you battle the emotion that you were clearly feeling: getting so connected to firefighters’ families while also trying to stay outside of the story? My main goal when I talked to the families was to be fair. I did speak to all of the 19 families. I wanted to meet these men, men who weren’t around here anymore. I wanted to understand what they were about: why they wanted to fight fires, what got them into this career and into that crew specifically. I wanted to be fair to their story. Being fair doesn’t necessarily mean that you need to be completely emotionally removed from the story. I cried with the families many times. I laughed with them. I cried as I wrote my book, I laughed as I wrote my book, I got mad as I wrote my book. There were moments when I would get up from this office and go grab a coffee or take a walk because it was a lot to bear. I think that the key is to always remind yourself that you’re not writing the book for your characters or you’re not writing the story for the people that you interviewed. You’re writing their story for the world to consume. Can you recall a few moments where those emotions were pulled out of you? 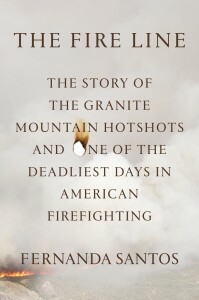 There is one chapter where I talked to Danny Parker, the father of Wade Parker, one of the hotshots, going to the area where they died and helping to bring the bodies out of the mountain. Danny didn’t know who among the bodies was his son. There was no way of telling because they were badly burned and they were all in body bags at that point. Danny brought each and every body out of the mountain. He helped to carry each of the 19 guys. He said to me, ‘those boys, they were all Wade to me that day.’ It spoke really to the significance of this story as not just a story of a bunch of individuals, but really a story of a community of fire fighters, of parents, of neighbors just really grieving together these deaths. It definitely helps bring a sense of humanity to something that we saw playing on the news. I was very curious about them. Who were these people? I got to meet their families and I began to understand where they come from. I heard all of these stories and the stories made all of these guys real. It made them human. Yes, a lot of people say they’re heroes and they died as heroes, but they died doing their job. They died doing their job that they loved and they died together. Showing how they were just regular guys who did an extraordinary and very dangerous job and who were very happy doing it, is more important. When you’re reading a story and you’re not able to find any point of commonality with the people you’re reading about, you don’t really care as much as when you see a little bit about yourself. What was the most shocking element that you uncovered?